On March 12, 1855, John B. Brown and his wife Cornelia deeded approximately nine-tenths of an acre of disputed property in Alexandria County, now known as Arlington County, to seven individuals in Trust for a Methodist Protestant meetinghouse and burial ground. On March 30, 1855, William Marcey and his wife Ann deeded the same piece of property to the same individuals in Trust for the same purpose. The location was the southwest corner of Glebe Road and Brown’s Bend Road (16th Street North.) 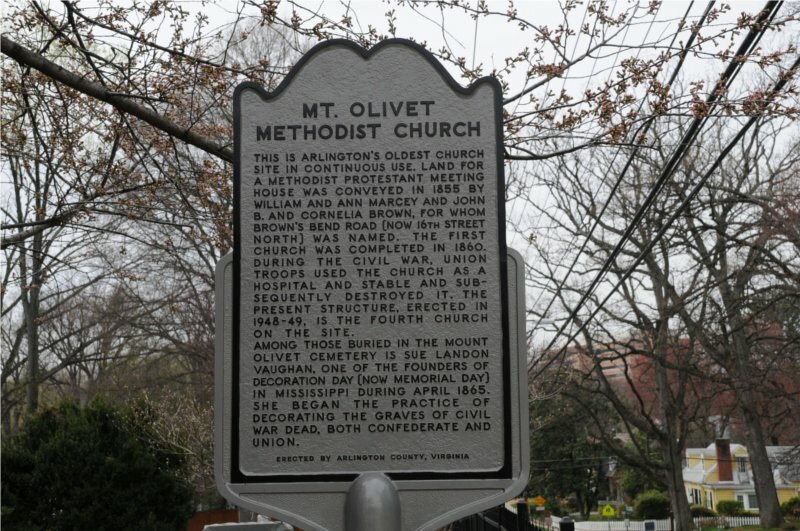 Thus a disputed parcel of land became the focus of attention as a location for Mount Olivet United Methodist Church, the oldest church site in continuous use in Arlington County. 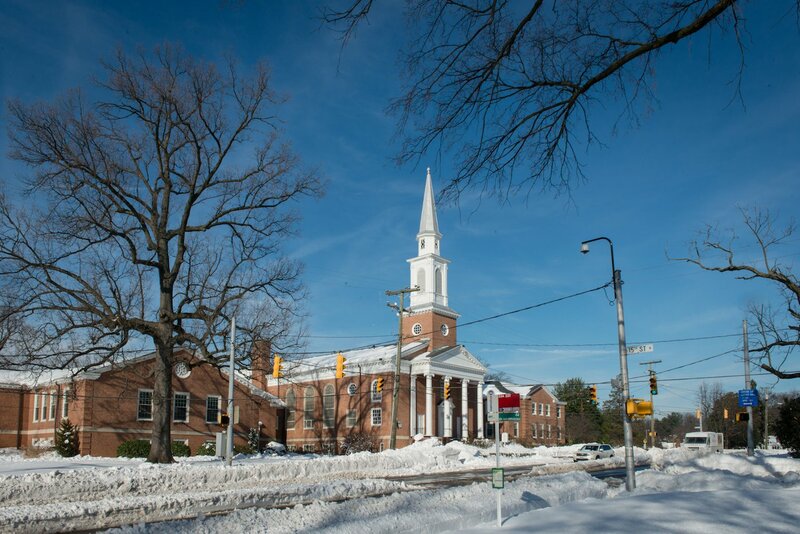 In the mid 1800’s, Methodist preaching in Arlington began in the area known as Walkersville near the north intersection of Glebe Road and Dittmar Road. Homes in the area were used for services. The Methodist Protestant Church separated from the Methodist Episcopal Church in 1830. Its ministers were young, vigorous, evangelistic and looking for opportunities to establish new churches. In 1853, the Maryland Annual Conference assigned Dr. E. J. Drinkhouse to the Potomac Charge. Associated with him was Oliver Cox, who was assigned as the sole pastor of the Circuit in 1854. It was the vision and energy of these two ministers along with that of George Wunder, a dedicated layman, that lent encouragement to the group of farm folks and tradesmen meeting around the future Mount Olivet location. It was this group of parishioners and lay leaders, along with Oliver Cox, the young and handsome minister serving his first year as pastor of the Potomac Circuit, and W. C. Lipscomb that met in the home of William Minor to decide whether to build a church. Although the exact date of this meeting is unknown, there is a degree of certainty that it was the fall of 1854. At the fiftieth anniversary of the church, Frank L. Ball, a well known and beloved local attorney, in his book, MT. 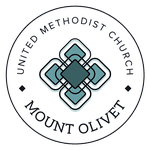 OLIVET METHODIST, ARLINGTON’S PIONEER CHURCH, writes that he recalls the remarks of George A. Wunder, one of the founders and most probably the Chairman of the Trustees at that time remarking that “he lay aside the shucking peg” to attend. It was well known that corn was shucked in October and November in this area and so the meeting had to be held in one of those months. Next to decide would be where to build it and what to name it. A central location to the existing parishioners would be a logical conclusion as travel was difficult. Glebe Road, unpaved and canopied by trees, was barely wide enough to permit passage of two horse-drawn carriages, yet it was the main travel way between Alexandria and Chain Bridge and beyond. What is now Wilson Boulevard ran from Clarendon to Payne’s Corner (Seven Corners) and crossed Glebe Road at Ball’s Cross Roads (west Ballston). Brown’s Bend Road at Glebe Road was midway along the Glebe Road route and stretched into Falls Church, making this location accessible to many of the parishioners. 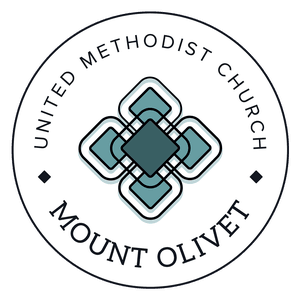 There is no documented record on the naming of the church, but tradition says that Oliver Cox selected the name Mount Olivet. Undoubtedly, this came from the biblical text in Matthew 28 verses 16 – 20 describing the location where Jesus spoke to the eleven disciples. It was on Mount Olivet that he proclaimed the Great Commission to make disciples of all nations, baptizing them in the name of the Father, and of the Son, and of the Holy Spirit. After the Civil War, the church attempted to seek payment for the damaged structure. In 1890 a bill for recovery of damages was introduced into the US House of Representatives. On April 27, 1904 the Congressional Committee on Claims referred the request to the US Court of Claims for a finding of facts with regard to the loss and also the loyalty of the church to the Union. In the fall of that year the US Circuit Court conducted a hearing. Testimony valued the building at $4,000 upon completion in 1860. The Court awarded $3,400, however it would be quite a while before the Congress would appropriate the money to pay the award. As to the finding of loyalty to the Union, two ministers, Oliver Cox and Joseph Portch, George Wunder, one of the founders, and three church lay leaders all could truthfully testify to their loyalty. The money received was applied toward building the 1912 parsonage that is still in use and stands on the southeast corner of Glebe Road and 15th Street North. During the Civil War, without a place of worship, membership and church activity faltered. For several years, no minister was assigned to the Charge and to an outside observer; it would appear that the church had been abandoned. But the tiny congregation hung on without funds and lacking much in the way of material possessions. By 1870, along with the parsonage, a small meetinghouse was constructed. 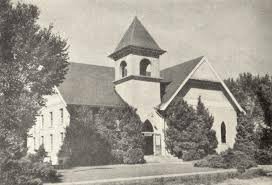 Between 1870 and 1900, in addition to Walker Chapel and Cherrydale, Mount Olivet mothered the churches of Gum Springs, Bailey’s Cross Roads, Beulah and a new work at Lewinsville. Cherrydale and Walker Chapel have survived these passing years, but the fate of the others is unknown. The 1870 building, remodeled in 1875, served until a much larger structure was opened in 1897. After several years of musing and planning and the assignment of a new pastor, it was decided to build a new church. 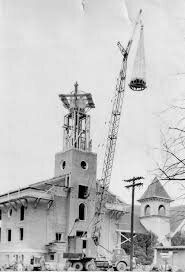 In 1894 the Reverend Jesse W. Norris was assigned to Mount Olivet and notwithstanding that this was a period of economic depression, he immediately took steps towards the construction of a new church. In 1920, an education wing was added to the south side of the church. The bell tower was relocated along with the vestibule and stucco was placed on the entire outside. In April 1921 it was reported that the construction was complete – all for $15,000. 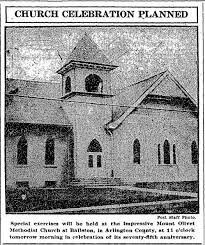 ﻿Plans in 1954 called for a chapel, church offices and classrooms in a two-story addition along with a basement addition on the space occupied by the old frame and stucco 1870 church. Additional construction in 1962 expanded the sanctuary into the cemetery and added a two story south wing primarily to create additional classrooms. A new fellowship hall was included along with a kitchen. The old fellowship hall was converted into classrooms. At this time, church membership approached 2,800 and Sunday School attendance neared 500 with classes being held during both worship services. 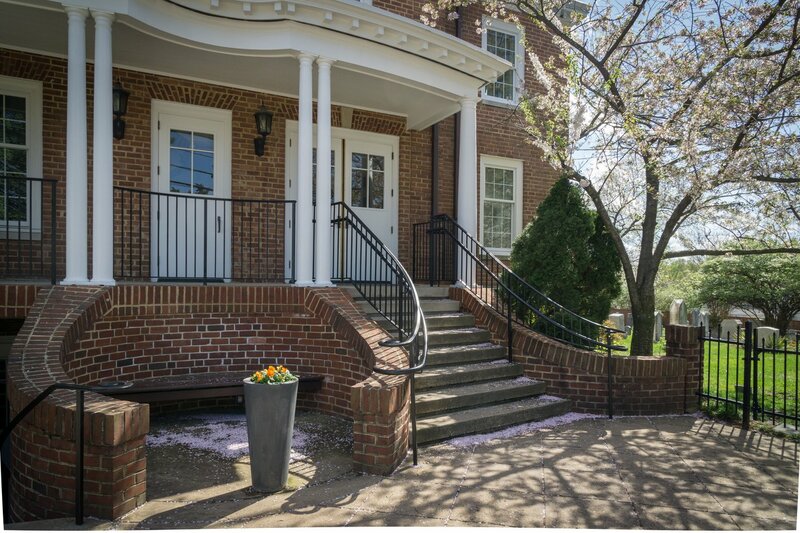 A final reconstruction occurred in 1997 with the addition of an elevator, complete renovation of the sanctuary, expansion of the chancel, creation of a gathering space, renovation of the office space, renovation of and the addition of classrooms and creation of a Columbarium. Mount Olivet’s cemetery is a part of the original land deeded to the Trustees in 1854. Cemetery plots consisting of four gravesites each were sold and deeded to individuals. These records were destroyed by fire in the 1920s. Except for what is inscribed on the tombstones, little exists pertaining to the official ownership of the plots or grave burials. It is believed that most gravesites have been used and certainly there are none available for use except those within existing known plots. Even then, there is the risk of discovering an unmarked grave. The cemetery is the final resting place of Sue Landon Vaughan who was instrumental in creating a special Memorial Day for veterans of all our wars. She began the custom of decorating the graves of Civil War soldiers, Yankees and Rebels, while living in Jackson, Mississippi. On April 26, 1865, she and other ladies were decorating graves of Confederate soldiers when Mrs. Vaughan decorated the graves of four Union dead. A friend heard of that deed and suggested to General John Alexander Logan, Commanding Officer of the Grand Army of the Republic a patriotic organization composed of Union veterans of the American Civil War that the practice be established nationwide. Three years later General Logan did so by calling for nationwide decoration of the graves of all soldiers on May 30. Three Methodist clergymen who served Mount Olivet are buried here Hampton Dye, William F. Livingston and his wife Amanda and her sister Miss Sadie Embrey and Edward R. McGregor and his wife Ann. Each of the clergymen tombstones has a brass plaque identifying them as Methodist preachers. Also in the cemetery are the graves of local families prominent in the history of the church and Arlington County such as Veitch, Donaldson, Shreve, Ball and Marcey. The congregation’s spirit remained strong as the church history continued with noteworthy achievements through all the war years, desegregation, economic downtimes, fire and all the other tests of life. Today, Mount Olivet has a vast, focused and buoyant program ministry and continues to provide leadership within the community and throughout the Virginia Conference.